One day a young man decides that he wants a lion tattoo. 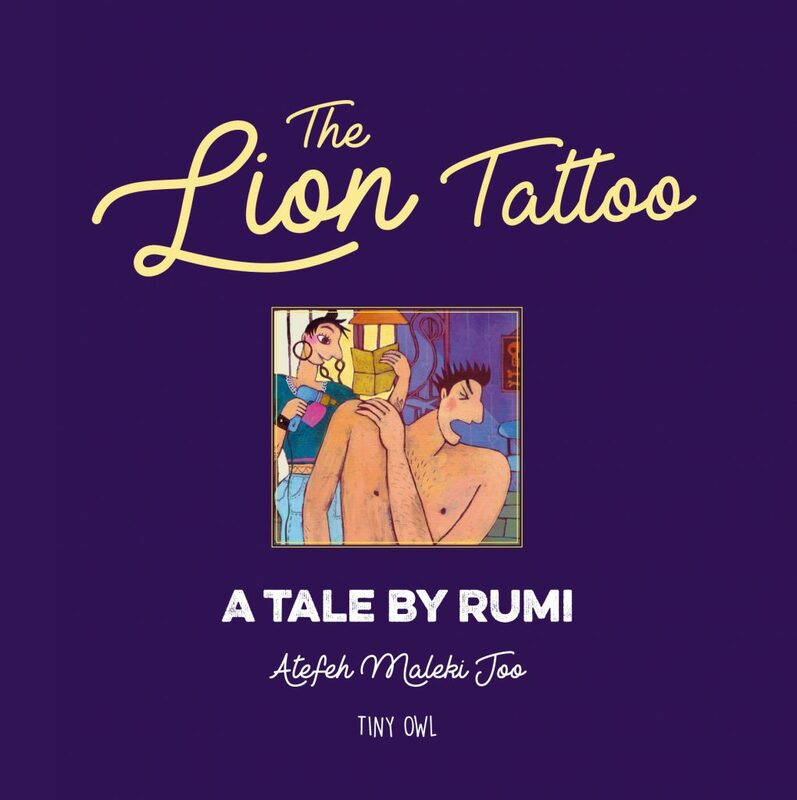 But as the tattooist begins her work, the young man feels the pain of the needle and decides that his lion doesn’t need a tail…or a stomach…or a mane! Based on a tale by Rumi, this humorous yet philosophical picture book for adult readers is guaranteed to make you think as well as laugh. With its luxurious cloth cover and small format, it also makes a perfect gift book. A blog: Ending up with a really strange-looking lion!